Our guide to Portland will help you find the best vegetarian restaurants in Portland Oregon. What distinguishes Portland, Oregon, from the rest of America's cityscapes? Or from the rest of the world's urban destinations, for that matter? In a Northwest nutshell: everything. For some, it's the wealth of cultural offerings and never-ending culinary choices; for others, it's Portland's proximity to the ocean and mountains, or simply the beauty of having all these attributes in one place. Strolling through downtown or within one of Portland's numerous neighborhoods, there's an unmistakable vibrancy to this city -- one that is encouraged by clean air, infinite trees, and a diverse blend of historic and modern architecture. There are tons of great vegetarian restaurants in the city of Portland, our city guide will help you find the best vegetarian restaurants. You may have a hard time deciding what to do in Portland, but we make your decision easy. From its many food-cart vendors who sell vegetarian food on the street to restaurants that offer more upscale cuisine, Portland caters to every vegetarian's (and vegan's) palate and wallet with an unending array of choices. From restaurants that focus exclusively on animal-friendly fare American style to food from the other side of the world such as vegetarian Chinese and Indian styles, Portland is truly one of most vegetarian-friendly large city in the United States. 1011 NE Alberta St, (503) 281-0537 - Bye and Bye is a vegetarian restaurant located in Portland OR. 1038 SW Morrison St, (503) 274-1017 - India House is a vegetarian restaurant located in Portland OR. 11137 SW Capitol Hwy, (503) 246-1683 - Green Wok is a vegetarian restaurant located in Portland OR. 1205 SE Stark St, (503) 477-5916 - Sweetpea Baking Company is a vegetarian restaurant located in Portland OR. 125 NW 5th Ave, (503) 248-1030 - Someday Lounge is a vegetarian restaurant located in Portland OR. 1300 E Burnside St, (503) 238-0470 - Old Wives' Tales Restaurant is a vegetarian restaurant located in Portland OR. 1667 SE Bybee Blvd, (503) 236-4237 - Saburo's Sushi House Restaurant is a vegetarian restaurant located in Portland OR. 16691 SE McLoughlin Blvd, (503) 496-3170 - Flying Pie Pizzeria is a vegetarian restaurant located in Portland OR. 1713 NE 15th Ave, (503) 228-0048 - Blossoming Lotus is a vegetarian restaurant located in Portland OR. 2001 SE 11th Ave, (503) 754-5993 - Portobello Vegan Trattoria is a vegetarian restaurant located in Portland OR. 22 NW 4th Ave, (503) 274-0160 - Vegetarian House is a vegetarian restaurant located in Portland OR. 223 SW Stark St, (503) 274-0010 - Al-Amir Restaurant is a vegetarian restaurant located in Portland OR. 2314 SE Division St, (503) 235-0244 - Papa G's Vegan Organic Deli is a vegetarian restaurant located in Portland OR. 2620 SE Powell Blvd, (503) 546-8112 - Chaos Cafe and Parlor is a vegetarian restaurant located in Portland OR. 3024 NE Alberta St, (503) 335-8233 - Vita Cafe is a vegetarian restaurant located in Portland OR. 309 SW Broadway, (503) 295-4110 - London Grill is a vegetarian restaurant located in Portland OR. 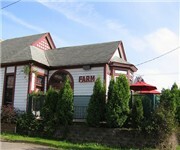 3131 SE 12th Ave, (503) 236-6761 - Berlin Inn Restaurant & Bakery is a vegetarian restaurant located in Portland OR. 3272 SE Hawthorne Blvd, (503) 234-2171 - Vege Thai is a vegetarian restaurant located in Portland OR. 3430 SE Belmont St, (503) 736-0119 - Tao of Tea is a vegetarian restaurant located in Portland OR. 3439 SE Belmont St, (503) 232-7508 - Paradox Cafe is a vegetarian restaurant located in Portland OR. 3566 SE Hawthorne Blvd, (503) 236-6001 - Cup & Saucer Cafe is a vegetarian restaurant located in Portland OR. 3962 SE Hawthorne Blvd, (503) 235-5378 - No Fish Go Fish is a vegetarian restaurant located in Portland OR. 400 SE 12th Ave, (503) 231-3899 - The Red and Black Cafe is a vegetarian restaurant located in Portland OR. 412 SW 4th Ave, (503) 226-3400 - Veganopolis is a vegetarian restaurant located in Portland OR. 430 SW 3rd Ave, (503) 256-8500 - Sonny Bowl is a vegetarian restaurant located in Portland OR. 3430 SE Belmont St, (503) 224-8455 - The Tao of Tea is a vegetarian coffeeshop / cafe located in Portland OR. 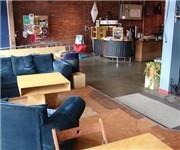 400 SE 12th Ave, (503) 231-3899 - Red & Black Cafe is a vegetarian coffeeshop / cafe located in Portland OR. 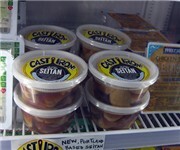 SE 21st Ave, (503) 674-2642 - People's Food Co-op is a vegetarian food / grocery store located in Portland OR. 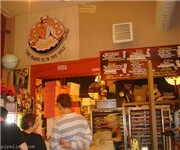 1501 NE Davis St, (503) 235-2666 - Voodoo Doughnut Too is a vegetarian donut shop located in Portland OR. There are plenty more vegetarian restaurants in Portland. See all vegetarian restaurants in Portland Oregon.